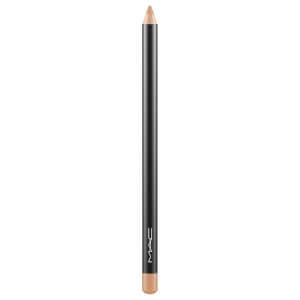 Line and define your eyes with MAC Eye Pencil, a creamy eyeliner with smooth, highly pigmented finish. 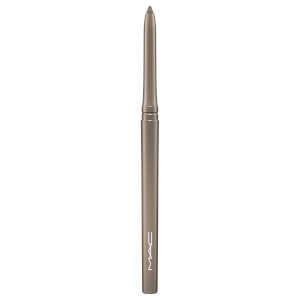 Gliding effortlessly along the lid, the soft liner is comfortable to apply, and delivers a rich, consistent colour with high performance, professional-looking finish. Apply in sharp, precise lines, or blend and smudge to create a sultry, smokey effect. Ophthalmologist and dermatologist tested. Non-acnegenic. Draw in desired shape on the lash line. Hydrogenated Palm Kernel Glycerides, Hydrogenated Palm Glycerides, Hydrogenated Vegetable Oil, Caprylic/Capric Triglyceride, Rhus Succedanea Fruit Wax, Talc, Ascorbyl Palmitate, Tocopherol. May Contain (+/-) Iron Oxides (CI 77491, CI 77492, CI 77499), Ultramarines (CI 77007), Titanium Dioxide (CI 77891), Ferric Ferrocyanide (CI 77510), Chromium Hydroxide Green (CI 77289), Chromium Oxide Greens (CI 77288), Manganese Violet (CI 77742), Carmine (CI 75470).